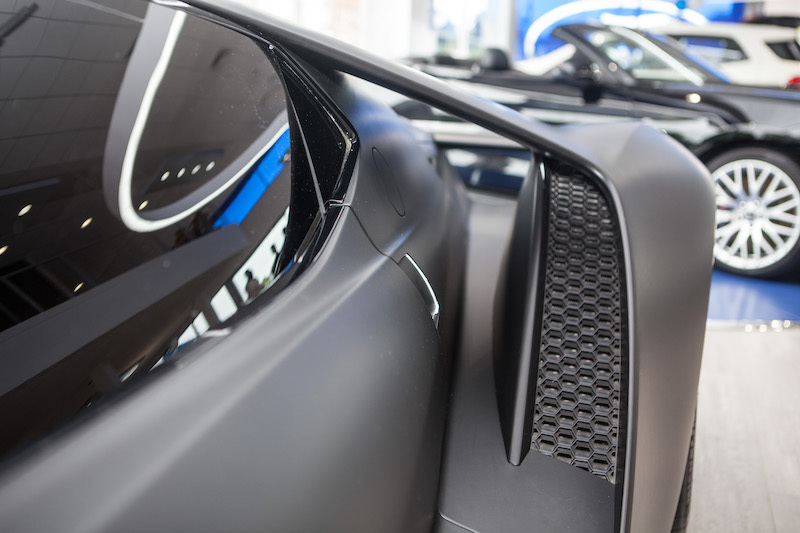 Home News Is the 2017 Ford GT Touring? 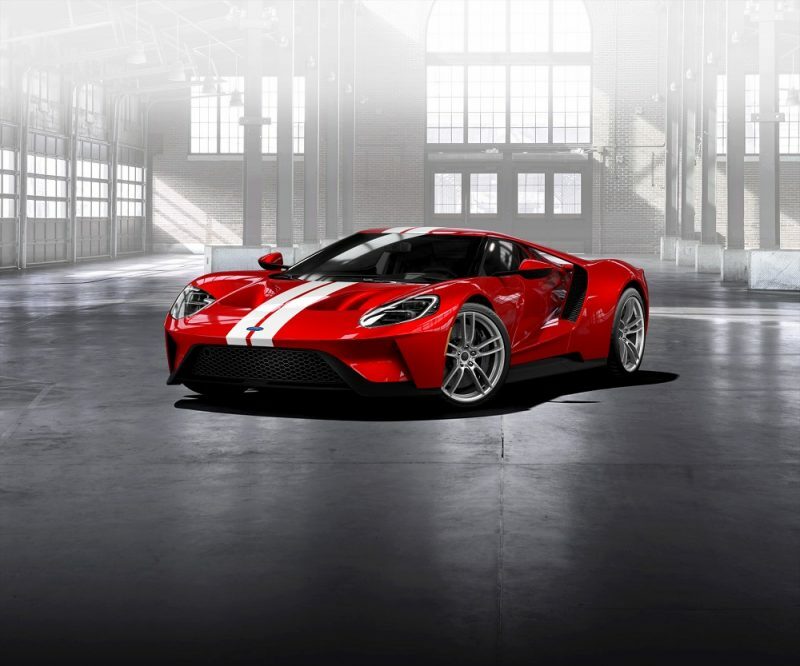 Mostly everyone shares a similar opinion of the Ford GT as a supercar, its striking and aggressive. However, there are continuous debates on is it a racing car? After the release of the 2005 Performance GT we have been kept wanting more, as we haven’t seen a car quite like the GT40, until the unveiling of the 2016 model. Notorious for turning heads, it made a star appearance at 24 Hours of Le Mans, winning the GTE class; it marked the anniversary for the 50 years since the GT40 won in 1966. 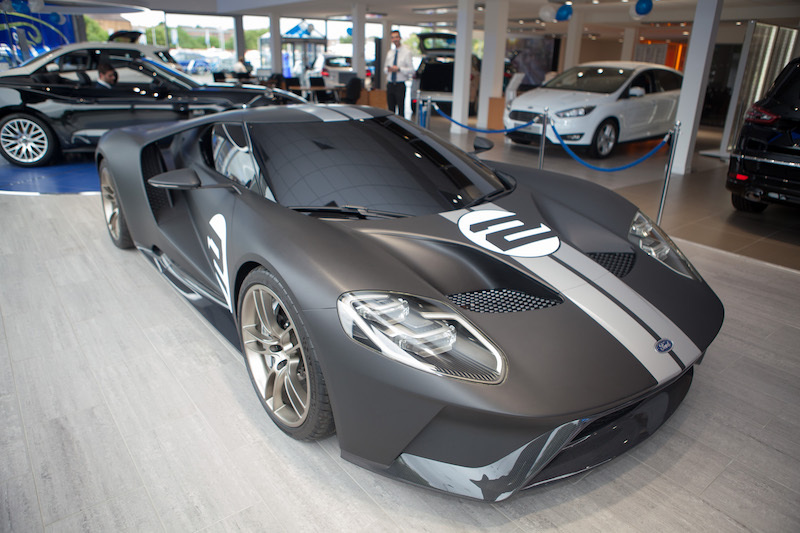 Ford stated that they had planned to build the GT at a rate of one car per day starting from the beginning of December 2016, only a few selected GT buyers reserved the right to purchase the 2017 model and at a cost of £320,000, it’s no wonder when it rocks up somewhere it causes a stir. A stir it certainly caused. 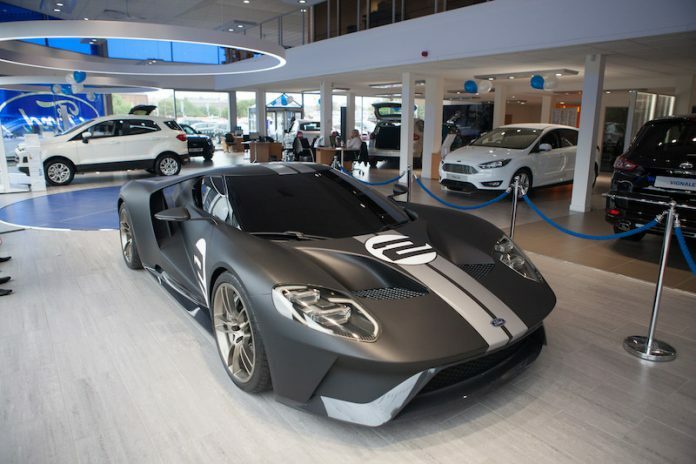 Spotted in Scotland; the GT’s 3.5 litre Twin Turbocharged EcoBoost V6 engine, roared throughout the local Ford dealership in Motherwell on the 30th August. With the streets crawling with local enthusiasts swarming towards the dealer, the silver matte paint vibrantly attracted people to take that further look. Many enthusiasts and press trekked across the UK to see Fords ‘iconic supercar’, as expected only bringing delight, worth the travelling. 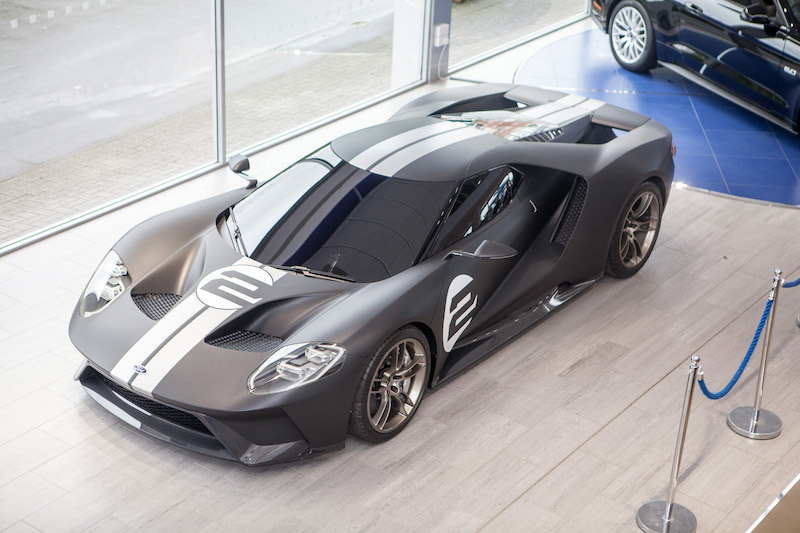 Amidst the excitement of the new 2017 Ford GT, were many local car clubs turning up to get a glimpse, the history of the model shows no boundaries when it comes to its popularity. Created to contain similar qualities of the GT40, it lives up to the aspiring expectations of its predecessor; although the plan was to originally design a Mustang which would be the Ford car that returned to Le Mans. Yet the GTE class is normally dominated by road cars configured for racing, such as your Ferraris, Porsches and Aston Martins. You can see how the size of a Mustang would have significant draw backs to the racing aerodynamics. 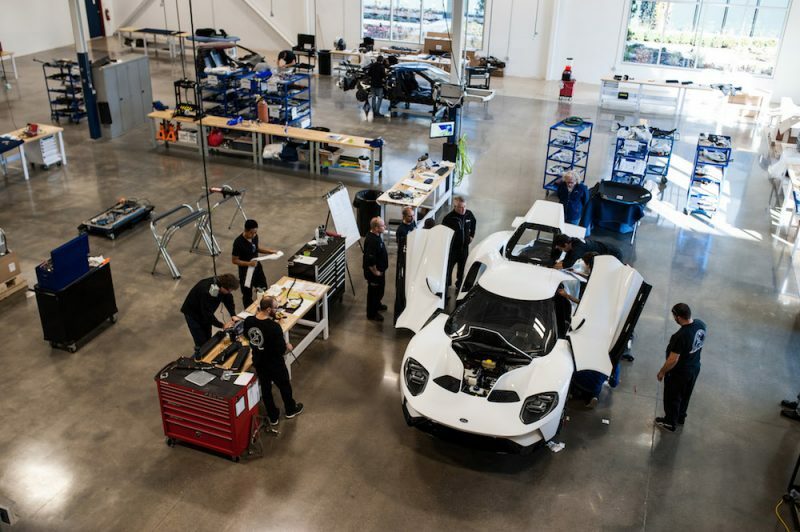 So, Ford went back to the drawing board to create the long (4779mm), low (1063mm) and wide (2003mm) body (primarily made from carbon-fibre), Ford promised it would produce one of the best power-to-weight ratios for any production car. With the fluid and sleek design throughout, it hasn’t detracted from the historical shape which we commonly related a GT, although somethings have changed like; the 20-inch wheels which sport Michelin Pilot Super Sport Cup tyres. 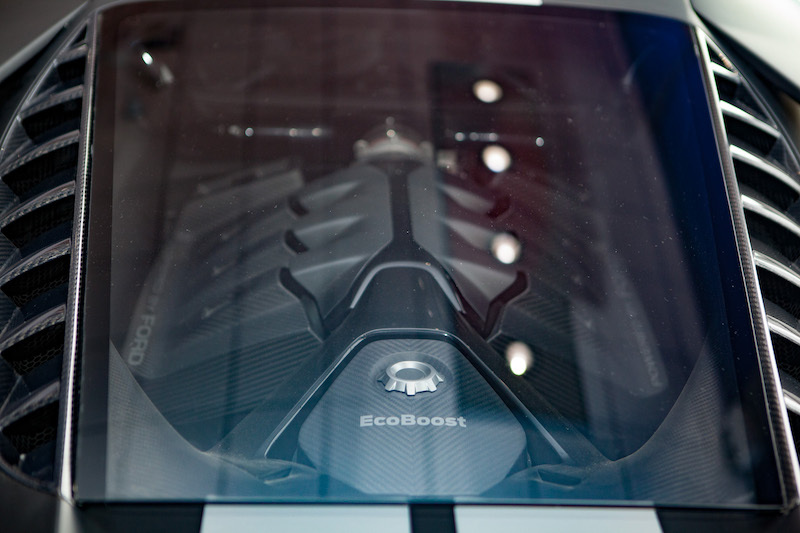 Well the passenger cell is essentially a carbon fibre tub, light stuff. Sitting behind it is the masterpiece – the 3.5 litre V6 monster, which powers the drivetrain and the rear wheels via a Getrag seven-speed dual-clutch gearbox. What does the engine give out you ask? Well, its boosted to 647bhp doing 0-60mph in just 2.8 seconds. 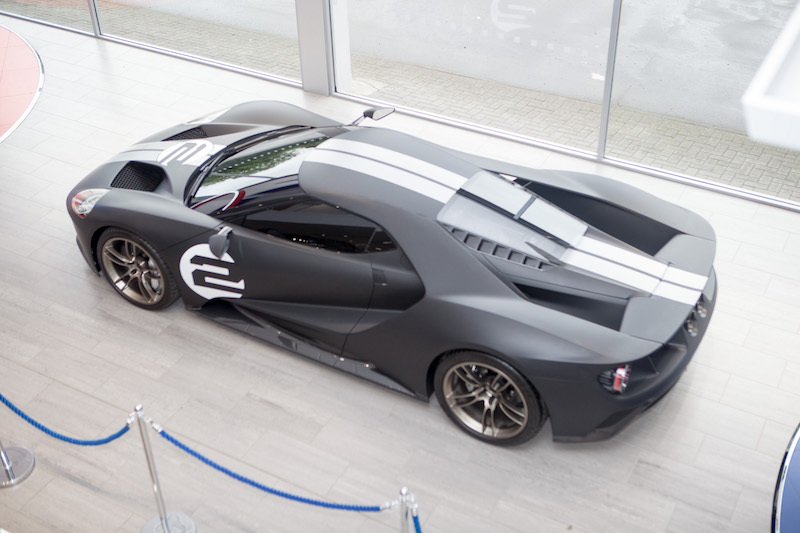 The opinion revolving around the model is that, it isn’t quite a race car, as it has been engineered by Ford as a road car. Without the road car programme, who would buy it? The long and short of it is, we probably wouldn’t have this exceptional piece of metal many have come to love, so in my opinion it deserves the hype! 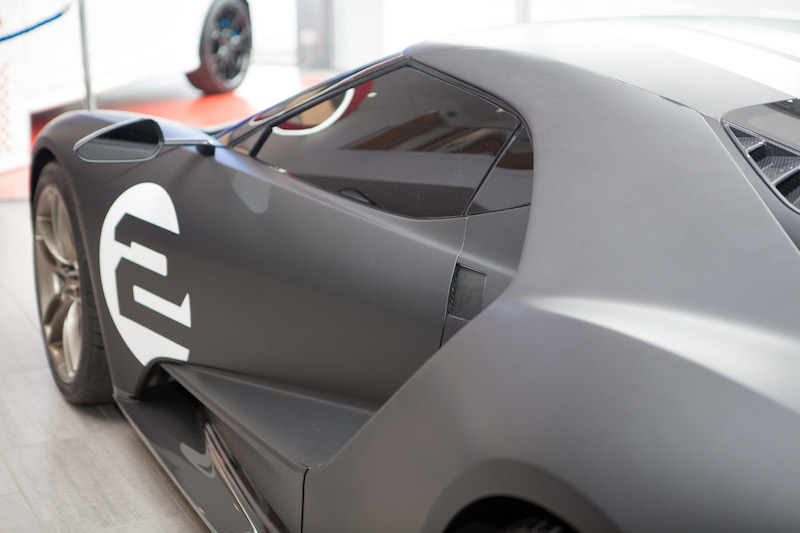 What’s the Ford GT’s next stop? We know that the GT has been touring Scotland, and has embarked on a one-week tour; before arriving in Motherwell. 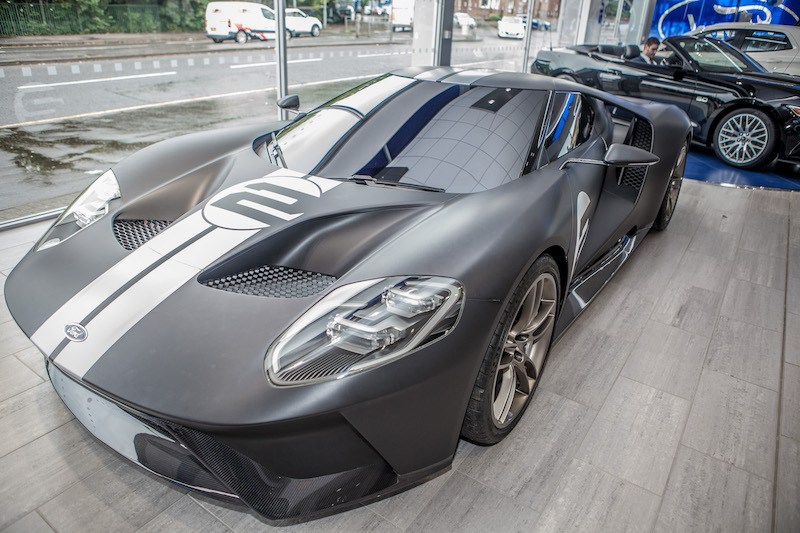 It had recently visited the Ford Dealership in Glasgow from the 28th – 30th of August and was situated in the current destination until the 1st. Thus, raising the question. It has been rumoured that the GT will be moving its way through the UK, stopping off at local dealerships situated through the counties. No matter where ever it turns up, it is 100% worth the visit, keep an ear to the ground, because let’s face facts, it is a wonderful car.